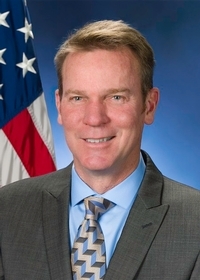 On February 5, the Senate Game & Fisheries Committee amended and approved legislation authorizing the Game Commission to allow Sunday hunting by a vote of 8 to 3, according to Sen. Dan Laughlin (R-Erie), Majority Chair of the Committee and prime sponsor of the bill. Senate Bill 147 would also amend the Pennsylvania Game Code to address the offense of trespass while hunting. It would make the violation a primary offense and as well as increase the penalties. Sen. Dan Laughlin (R-Erie) serves as Majority Chair of the Committee and can be contacted by calling 717-787-8927 or by sending email to: dlaughlin@pasen.gov. Sen. James Brewster (D-Allegheny) serves as Minority Chair and can be contacted by calling 717-787-5580 or by sending email to: brewster@pasenate.com.